The cryptoCERTUM Suite is a carrier for certificates issued by Certification Authority. Suite gives possibility to handle and securely store public key certificates (Codesigning certificates). 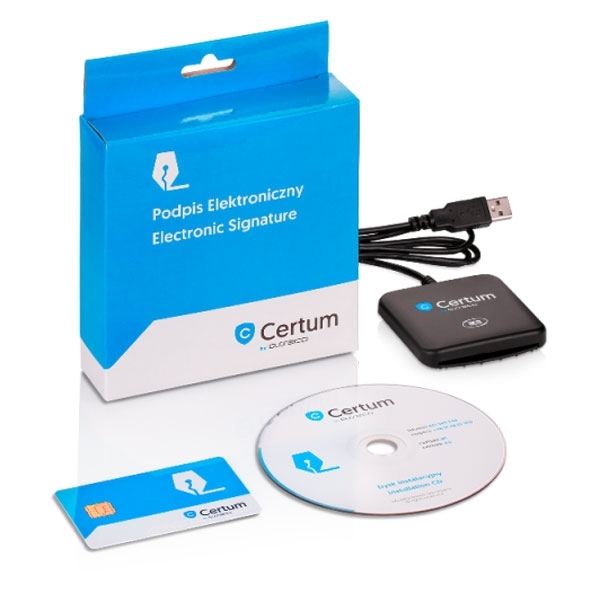 Suite includes a cryptographic card, software and cryptographic smart card reader - available in cryptoCertum Suite with a cryptographic smart card reader. Note: the suite does not include a qualified or Codesigning certificate.